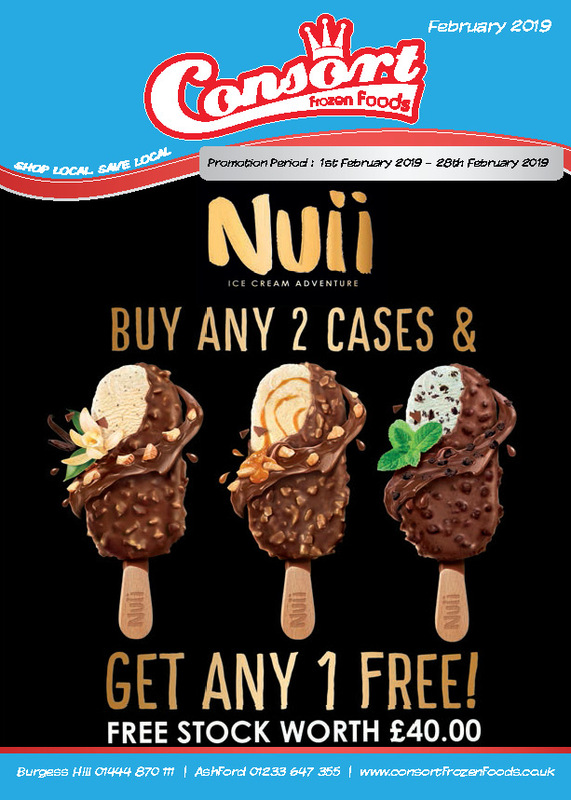 Consort Frozen Foods continue with their monthly promotional programme with the issue of their February brochure. Nuii is Froneri attempt to take on Magnum and it’s a great product. The Walls Buy 10 get 3 free is the best Unilever impulse deal you’ll get all year. After that it’s 5+1, 6+1’s. To see all the amazing deals click on the image. To get Consort in touch with you to deliver some of these super deals, just follow the link below!